While all the heavies were busy raving about Sony Creative Software's best-selling What It Is! : 70's Analog Funk collection, the producers at DNA Music Labs were busy tracking the follow-up. 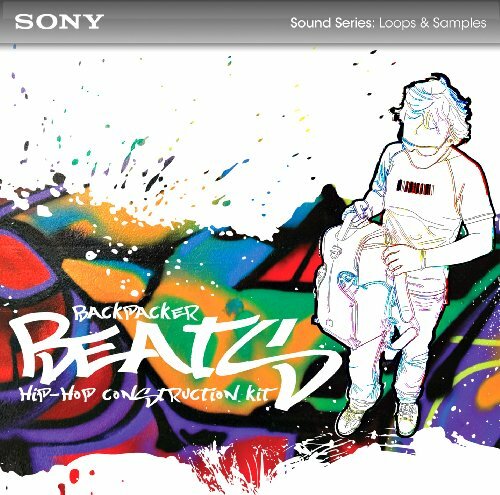 Now, here it is - Backpacker Beats, a hip-hop construction kit that's ready to take you places. Start with the beats and basses - a perfect blend of real and machine sounds bearing the fat and spectral DNA stamp of approval. Once you find your groove, pile on the extras - guitars, horns, keys, percussion, strings, synths, and even some vocals that'll get behind your message. Work from scratch in your favorite DAW, or launch ACID software and choose from among a dozen starter projects included on the disc. Sony Sound Series titles are a legendary match for creative hip-hop producers, and our sounds work royalty-free in every app that plays .wav files. With your laptop, headphones, and Backpacker Beats, you'll be on the road to making great hip-hop tracks wherever you are.